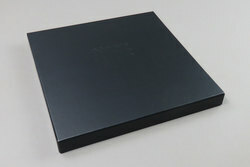 Dabrye - Box Set. Bleep. Dabrye's seventeen years in the making game-changing /Three trilogy made available in a highly collectable boxset, designed by Michael Cinavia and released via Ghostly. 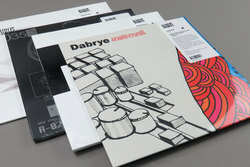 Landing with freshly cut vinyl reissues of all three Dabrye albums - One/Three, Two/Three, and Instrmntl. Plus the long-awaited Three/Three. 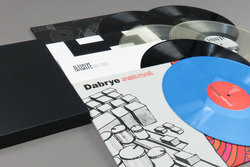 Each record further expands on Dabrye's unique blend of American and British dance music, hip-hop sampling, and Jamaican sound clash energy. Plus with guest appearances from some of the biggest rappers in hip-hop, notably: J Dilla, AG, Ta'Raach, Doom, Waajeed, Vast Aire, Beans, Guilty Simpson, Phat Kat, Kadence, Quelle Chris, Danny Brown, Shigeto, Clear Soul Forces. This is the full scope of Dabrye's two-decade vision. An incredibly important milestone in both hip-hop and electronic music as a while, the influence of these records can never be undersold, set to be 2018's greatest reissue bar none.